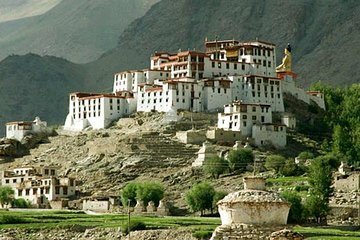 Spend six days exploring one of the Himalayas' most-pristine travel destinations on this incredible tour that highlights the best of Leh and Ladhak. Drive through snow-capped mountains, visit Buddhist monasteries and navigate the world's highest motorable road with your professional and friendly guide. Tour remote palaces and see yaks and local bactrin camels as you make your way through the stunning, mountainous landscapes.